No one cares about a neighborhood more than the people who live there. People spend their days and evenings along the street, raise children, foster connections with neighbors, build businesses, grow gardens, bike, walk, and live. A few choose to engage with their civil organizations, advocating for positive change, or against negative impacts; they participate in civic meetings, and some even run for office in order to have a professional responsibility to their community. Our fundamental goal of democracy is to expand the engagement and active participation to every person. Contemporaneously, the internet has provided a platform for immediate and global access to information and people. An increasing majority of people carry a web integrated, sensor laden, geolocated mobile computer that makes this access ubiquitous and pervasive. Whether merely reading or actively publishing information, we have an unprecedented ability to interact with both our physical and digital worlds in coordination – essentially integrating our neighborhoods with realtime and historical data about us and our communities. One of the primary roles of government historically has been to gather resources in order to build physical infrastructure such as roads, parks, and buildings such that communities and commerce can grow and flourish. Increasingly, a new role is for government to provide a digital public infrastructure, one which supports access to information, in order to improve the efficiency of government operations as well as enable more meaningful decisions by constituents. More than just websites, new digital services are more responsive, scalable, and optimistically more effective in serving people’s needs. Combined with open data, information analysis tools, and online forums. 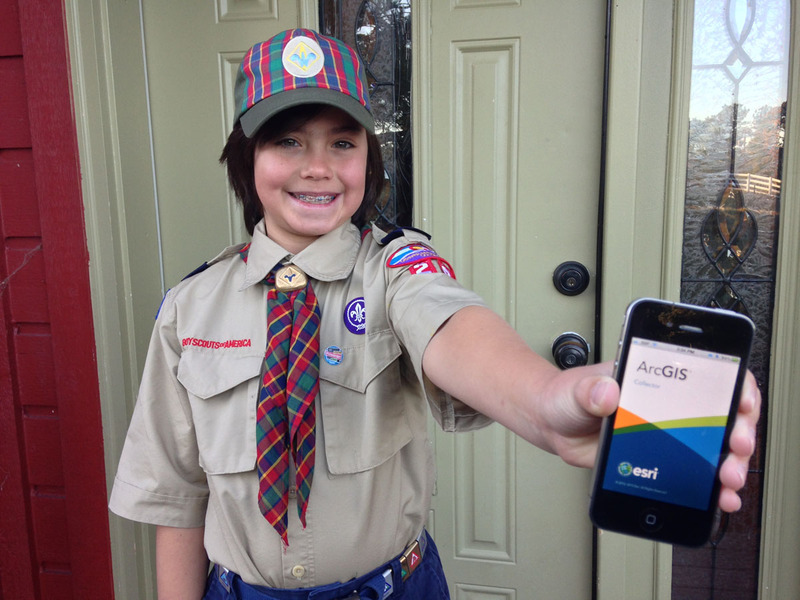 Cub Scout Joshua Perry prepares to collect sales information using Collector for ArcGIS. All brought together, we have a tremendous opportunity to dramatically increase the agency of every citizen to have an active and integrated role with the operation of their government. Data-Driven Citizenship means that individual decision making, issue advocacy, and community planning are empowered with the tools and data necessary to make informed actions and observe the outcome of those actions. Instead of merely petitioning for change in a neighborhood, citizens can analyze existing and historical conditions, compare with similar situations and apply data modeling in order to suggest viable alternatives that government can most meaningfully enact. Other communities can connect and observe the factual and cultural outcomes of these projects to inform their own plans. By example, as part of the The United Nations’ International Day of the World’s Indigenous People, seven tribes developed analyses and shared data narratives that educate on issues at hand, including climate change, forest resiliency and data sovereignty. The city of Raleigh recently underwent a rezoning plan that could have dramatic impact on homeowners and businesses. Through community input on web tools for geographic drawing and comments, the city was able to make both broad city-wide improvements as well as understand the particular characteristics specific to local neighborhoods. As part of their commitment to reducing pedestrian fatalities through the VisionZero initiative, Washington DC Department of Transportation provided open data through both web and mobile survey tools where bicyclists, pedestrians, and motorists could mark areas of the city that were unsafe due to a variety of causes. For instance, many intersections had short cross-walk times, which meant pedestrians may be caught in the middle of the road when cars started crossing; bike lanes had disconnected routes resulting in cyclists merging into the roadway with traffic that had difficult identifying the incoming bicycles. 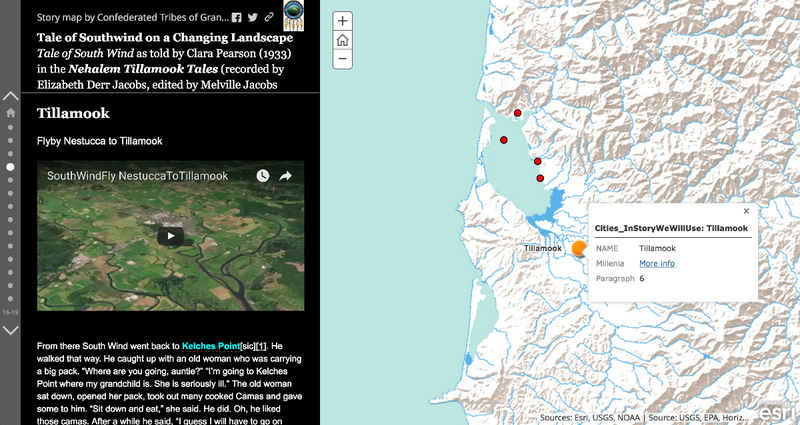 Open Data enables citizens to be active participants with their government community planning. Cities and communities around the world are discovering how emerging digital tools such as open data, crowdsourcing, and StoryMaps can make citizens more aware, and also active contributors in how government can improve neighborhoods for everyone. Consider your own initiatives and how data driven citizenship can make an extreme, positive, difference.